Only unlocked devices are eligible for the dual SIM functionality. 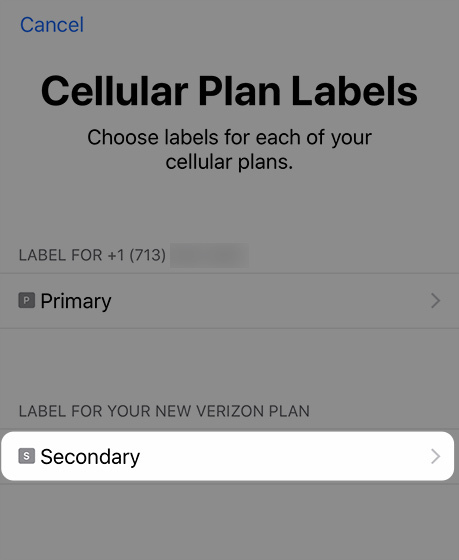 iPhones purchased directly from Verizon are unlocked within 24 hours after activation. iPhones purchased directly from Apple are always unlocked. 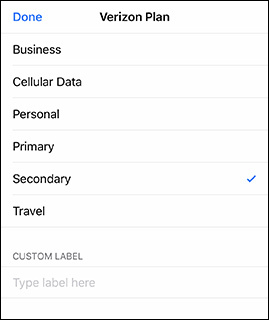 For iPhones purchased from another carrier, refer to the lock policies for AT&T, Sprint o T-Mobile. If you're new to Verizon, refer to Únete a Verizon. For a new line of service, contact Consumer Sales at (800) 225-5499 to activate your eSIM. For an existing line, contact Customer Service at (800) 922-0204 to activate your eSIM. 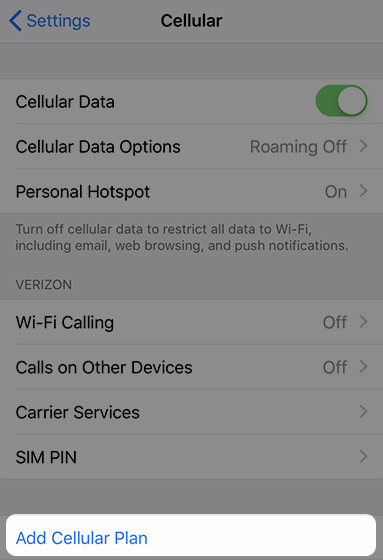 Your device has a cellular or Wi-Fi connection. Scan the provided QR code using your iPhone's camera. The QR code is sent via email. Allow up to 5 minutes for the device to activate and signal bars to show on the device. 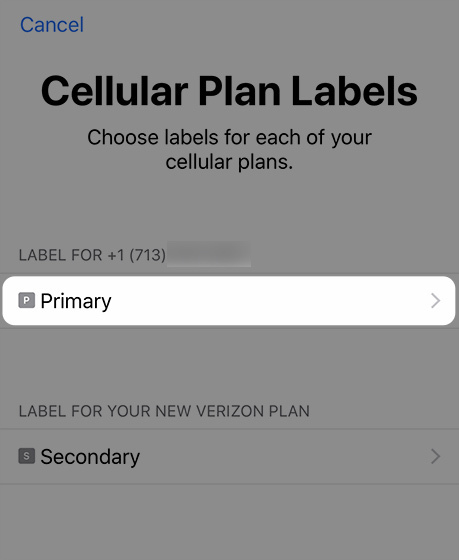 From the 'Cellular Plan Labels' screen, tap Primary. 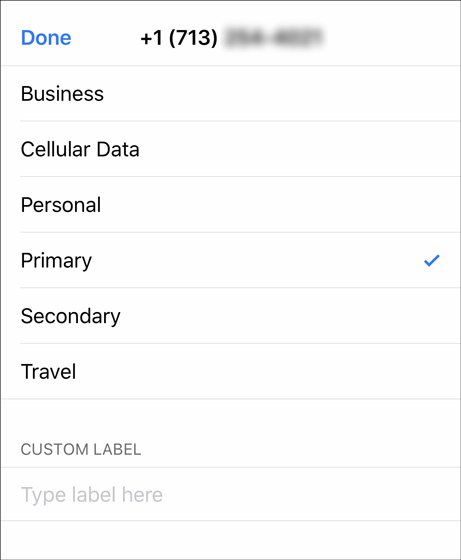 Select the desired label then tap Done (upper-left). This is the newly added plan. 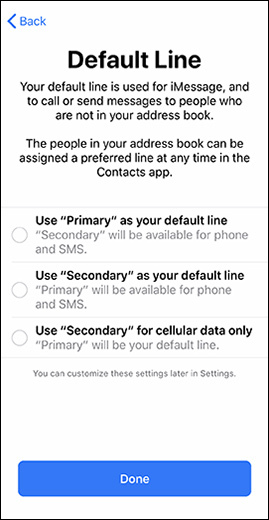 From the 'Default Line' screen, select the desired line (e.g., Primary, Secondary, etc.) then tap Done.